The problem I had with this book was trying to identify the correct audience. If it’s aimed towards younger readers (which I believe it is) then the length of the novel may be a bit bewildering and there is quite a lot of political jargon amongst the denizens of Wildwood. If it is meant to be enjoyed by older readers I fear it is simply too predictable with far too many character/plot cliches. Also the main character, Prue, really doesn’t have much depth and we see far more change in the characters around her. 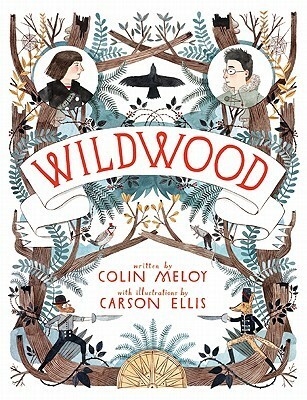 Colin Meloy is an excellent writer however, and aside from a Wildwood sequel (which is coming), I would still not hesitate to read what he comes up with next. I can say that the artwork does add a lot to the story and was a welcome addition. This entry was posted in Book Reviews and tagged Book Reviews, Colin Meloy, Fiction. Bookmark the permalink.